A wonderful gift for all children is waiting for your family in Delano Park! On the site of the original WPA playground, a state of the art “boundless” playground has been built that promises to fill the need of every child to play and have fun in a safe, accessible environment. Your children will be inspired as they frolic and play amid immense images of Alabama frogs, bunnies, and butterflies. Part park, part sculpture and botanical garden, and part restoration, Riverwild retains the footprints (and WPA buildings) of its past while remaining this side of wild. Every child is able to participate because of accessible surfacing and ramps. Children in wheelchairs and walkers do not have to leave their support equipment behind to learn and play with other children. 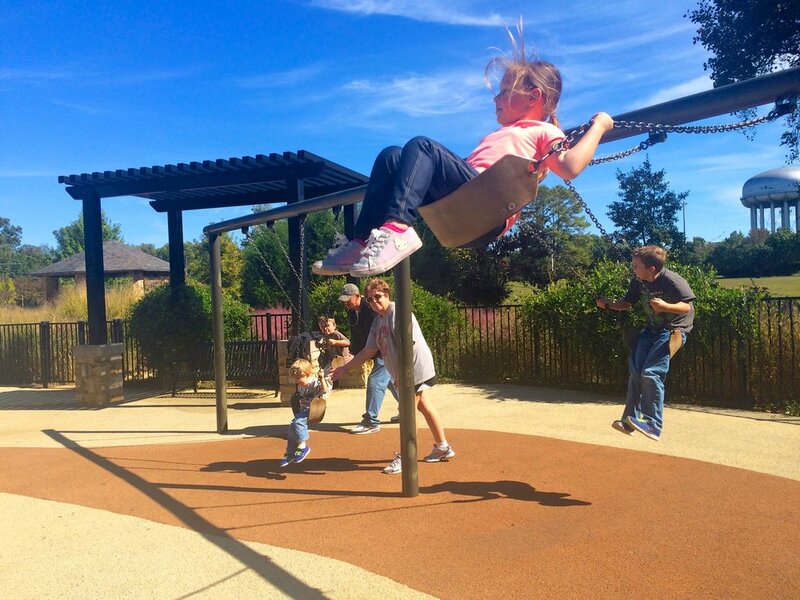 This playground enables families to stay together! Stand under towering fountains and celebrate the joy of summer in the RIVERWILD Splashpad! Built on the footprint of the original WPA wading pool and retaining its historic Bathhouse as a family-friendly restroom facility, the splashpad is inspired by Alabama rivers and was built with the mission of accessibility and fun for ALL children. 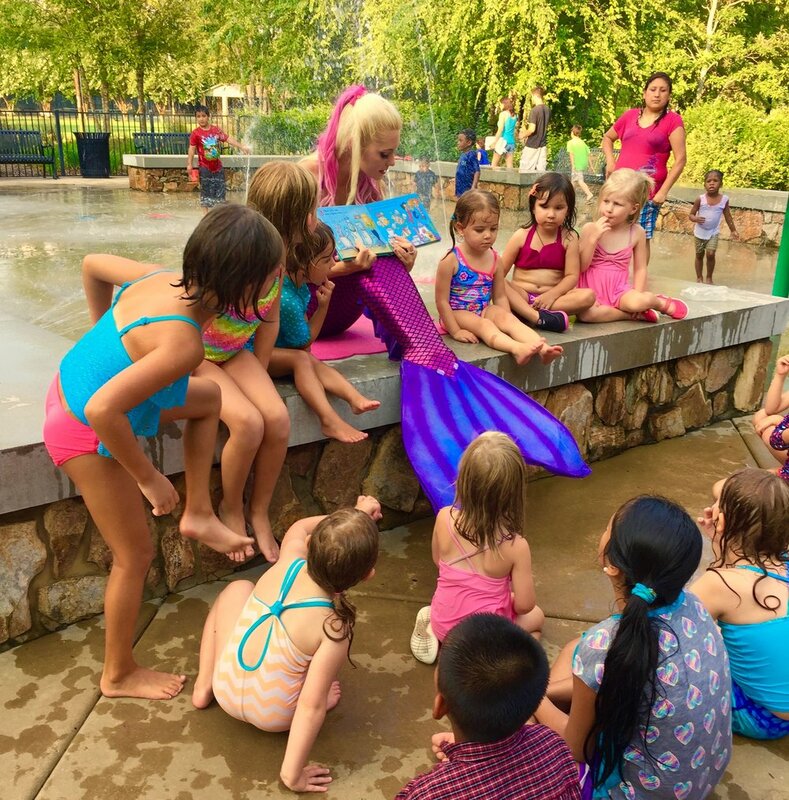 Come enjoy the magic of water and create memories with your children and grandchildren. LITTERING – Please deposit waste in receptacles. To report a problem, call 256-341-4760. After 5:00PM and on weekends, call 911 to report emergencies or rules violations. 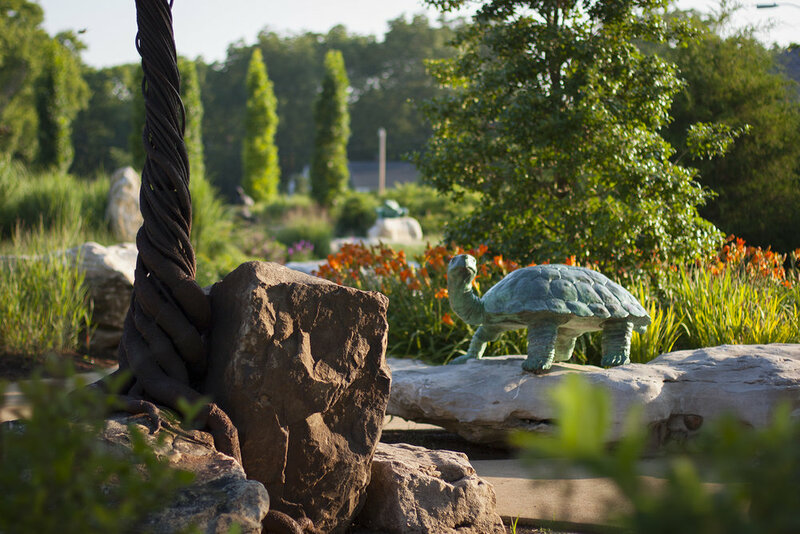 Come experience the magic of the RIVERWILD Sculpture Garden where the wing of a butterfly, the leaf of a native plant, and the larger than life sculptures of native animals. 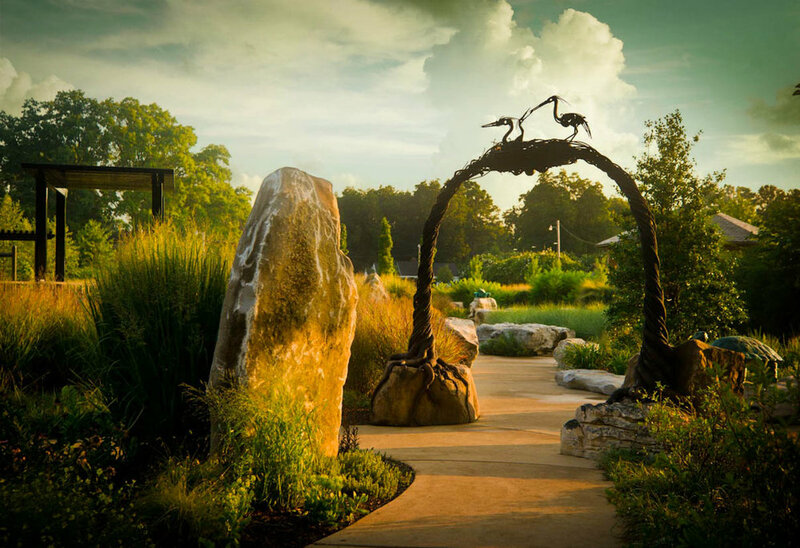 Alabama artists, Frank Fleming and Bruce Larsen, have created seven large sculptures in bronze and steel with the theme of Alabama’s flora and fauna elevating this magical space into a sculpture garden in which you and your family can learn about the cultural and natural history of our Tennessee Valley home through original works of art. To report a problem, call 256-341-4760. After 5:00 p.m. and on weekends, call 911 to report emergencies or rules violations.